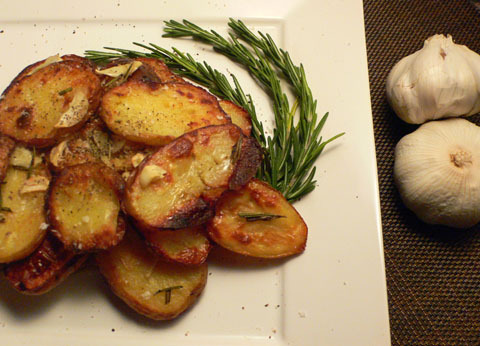 Here is a easy, quick, and simpleGarlic Roasted Potatoes Recipe. Good for a snack or a tasty side dish; garlic roasted potatoes is always a favorite. Place into a bowl the oil, garlic, and rosemary.